The Ticket & Fare Collection Society was founded in 1946 in the north‐east of England to bring together collectors of transport tickets, principally road (bus and tram) and railway. In 1963, the T&FCS merged with the International Society of Transport Ticket Collectors to form the present Transport Ticket Society, the foremost such society in the world. We have members mostly in the United Kingdom, but also in Europe, the Americas, Australasia and the Far East. Interests represented include bus, tram and rail tickets, current and historic, as well as tokens and ticket machines. The Society offers wide range of facilities including a monthly, illustrated, 40‐page Journal, an extensive range of Ticket Distributions, Postal Auctions, Ticket Exchange Pools and Circuits. There are regular members meetings in Manchester. 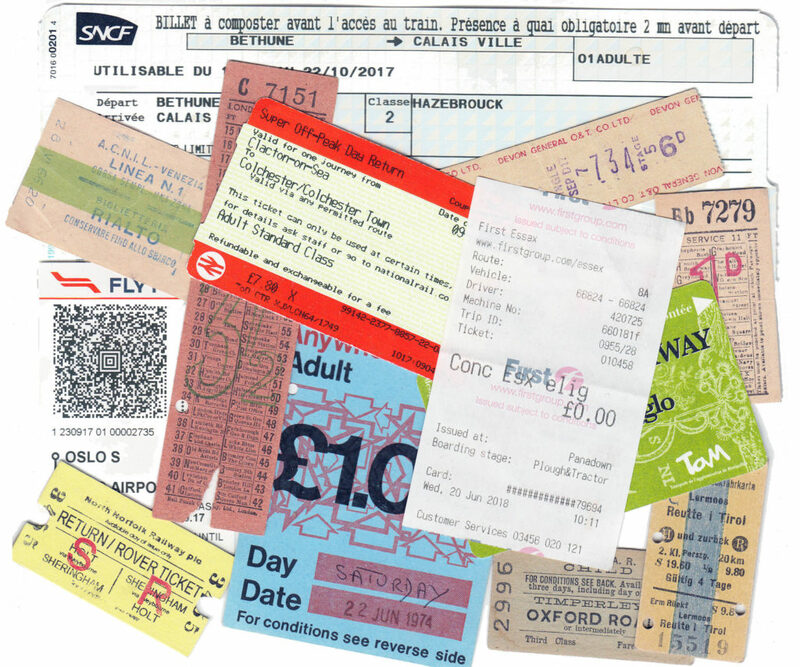 The Society actively encourages research into the history of tickets, ticket equipment and related matters and there are regular historical articles in Journal. New members are very welcome, whatever their areas of interest and whether beginners or established collectors. Join here!